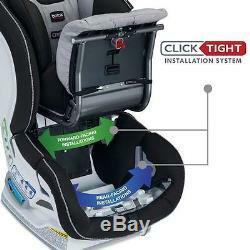 New Britax Boulevard Clicktight Convertible Car Seat Circa. Brings you remarkable convenience without compromising on your childs safety. The Boulevard ClickTight has the safest installation available and an additional layer of side impact protection, so you have the utmost assurance your child is correctly secured. The ClickTight Installation System gives you the safest and easiest installation every time so you can be certain your loved one is safe. Safeguards your child with an extra layer of side impact protection, impact-absorbing base and steel frame. Wraps your child in comfort with premium padding and fabrics. Includes car seat and removable pillow. PEACE OF MIND WITH THE SAFEST AND EASIEST INSTALLATION. Typically up to 75 percent of car seats are installed incorrectly, but our revolutionary ClickTight Installation System is the safest and easiest technology on the market. 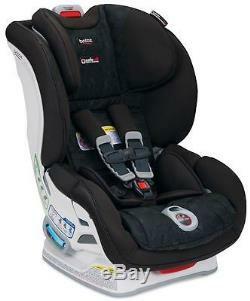 Thats all you need to do for rock-solid installation the seat wont budge and you can travel worry-free with your child. 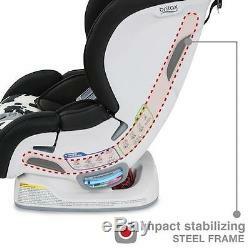 SAFECELL IMPACT PROTECTION: THE BEST PROTECTION, ONLY FROM BRITAX. 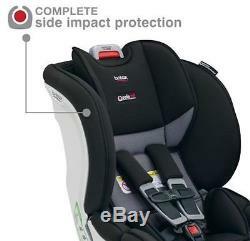 Britax is the only child car seat brand that features world-class SafeCell Impact Protection. This integrated system of safety components provides unmatched protection for your child. These features include a steel frame, energy-absorbing base, V-shaped tether to minimize seat rotation and staged-release stitches that slow and reduce forward movement during a crash. EXTRA LAYER OF SIDE IMPACT PROTECTION. Side impacts represent 25 percent of collisions and result in the most severe injuries. We designed the Boulevard ClickTight with not 1, but 2, strong layers of side energy absorption. A deep foam-lined shell and quick-adjust head protection shield your child from side impacts. Almost 60 percent of car seat harnesses are too loose. We developed the Boulevard ClickTight to safely and comfortably hold your child from birth all the way through the preschool years. The easy-adjust harness grows along with your child with 14 different positions. Change the height of the seat with just the push of a button no inconvenient rethreading necessary. 2 layers of side protection formed by a deep foam-lined shell and quick-adjust head protection. Impact-absorbing base compresses to reduce the rough force of a collision. Impact-stabilizing steel frame offers superior strength where you need it most: at the connection point to the vehicle. V-shaped tether minimizes seat rotation with a unique two-strap design. 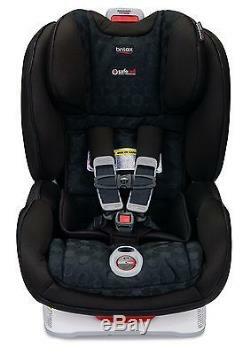 Britax-patented staged-release stitches slow the seats forward movement during a crash. 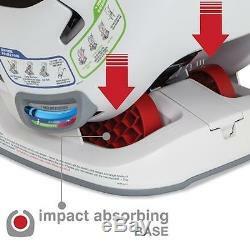 Impact-absorbing harness pads adsorb energy and reduce your childs forward movement during an impact. Proudly engineered, tested and made in the USA with global components for top safety and quality. THE SAFEST AND EASIEST INSTALLATION. ClickTight Installation System makes safe installation as easy as buckling a seat belt. 7-position recline makes for easy angle adjustment. 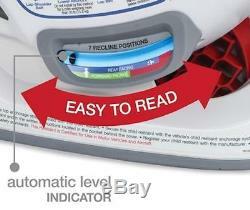 Automatic level indicator lets you know the seat is angled correctly in your car. 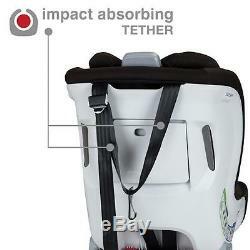 No-rethread 14-position harness quickly adjusts with the push of a button as your child grows. 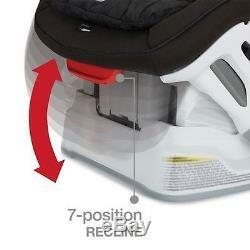 Quick-adjust 2-position buckle easily moves outward as your child gets bigger. Removable body pillow adds comfort and can be removed when your child outgrows it. Plush foam padding and fabrics for premium comfort. 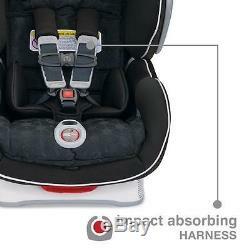 Easy-buckle system keeps buckles and straps out of your way when positioning your child. Easy-remove cover pulls free of the car seat for cleaning without having to remove the harness. Rear Facing: 5 - 40. Forward Facing: 1 year and 20, up to 65. Child Seated Shoulder Height (in). Rear Facing: 7.6 - 18.65. Forward Facing: 18.65 or less. 20.5W x 23.5H x 23D. Seat Area Depth / Width (in). 10.5 / 11.5. 8.35 to 19.4.85 increments, 14 positions. 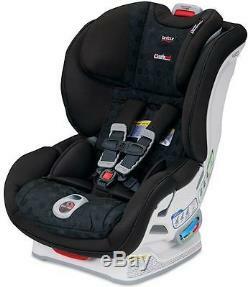 The item "Britax Boulevard Clicktight Convertible Car Seat Child Safety Circa NEW 2017" is in sale since Friday, August 25, 2017. 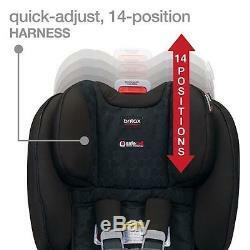 This item is in the category "Baby\Baby Safety & Health\Other Baby Safety & Health". The seller is "devinesuperstore" and is located in Whittier, California.